Eating Disorder Anonymous (EDA) recently published a book to help support eating disorder recovery through the 12-step program. The book and the program help to outline the struggles in an eating disorder (ED) as well as a process to recovery. Many individuals can struggle immediately at step one; this is due to the fact that one of the primary functions of an ED is to gain a sense of control. Step one of EDA (2016) is, “we admitted we were powerless over our eating disorder – that our lives had become unmanageable” (p. 115). For many, powerlessness is their greatest fear, so acknowledging and owning it is incredibly scary. As terrifying as it may be to confront it, it is necessary in the recovery process. As long as someone in recovery is clinging onto power through an ED, they will continue to lose more control in every aspect of life. The EDA book (2016) goes on to clarify that powerlessness is, “about having insufficient power to overcome our eating disorders specifically” (p. 116). Many attempt recovery on their own through promises and plans to decrease behaviors. These efforts are often unsuccessful because of the grasp the ED already has over the individual. When behaviors continue to spiral out of control, the realization hits that endeavors are failing and the plans for recovery are not being fulfilled. When this truth is acknowledged, step one may be easier to explore and accept. Accepting powerlessness around recovery is not to be confused with helplessness. The individual is powerless over their relationship with food and must work hard to make changes for a normalized relationship with it. This may look like surrendering the creation of a meal plan to a knowledgeable dietitian and trusting in a treatment team to help support emotional needs. At the same time, the individual must discover the power in choosing recovery. A new meal plan and recommendations by a therapist may feel uncomfortable and holding onto control will only hinder recovery progress. Ultimately, EDA (2016) recognizes that step one is about powerlessness and the ability to, “find the power to recover” (p.116). Admitting powerlessness and searching for a sense of empowerment in recovery leads right into step 2, “came to believe that a Power greater than ourselves could restore us to sanity” (p. 117). This step takes powerlessness a little further into the process of surrendering. It is the willingness to be honest and open to finding a new way and a new path in life. This step also requires humility and accepting not having all the answers and believing recovery is bigger and goes beyond self. To help explain step 2, EDA (2016) provides a wonderful comparison of recovery being similar to the process of a broken bone healing (p. 118). With proper treatment and care based on recommendations and care of a doctor, the body heals itself. We do not have to power to reconnect our bones and we cannot control how and when the healing happens. Recovery is very similar because the body will heal and can heal from an ED with the proper care and treatment. Step 2 is about believing that this can happen and will happen. It is also choosing to be an active participant in the healing process by also providing care and nurturance to help the process. The steps require looking outside of self and finding a greater power. This process can be challenging especially if there has been a lack of connection with values and meaning outside of the ED. It is important to keep in mind that a higher power does not have to be religious at all. Searching for this higher power is necessary because an ED is isolating and lonely. EDA (2016) also writes that in ED, “we are busy “directing the show” we somehow made everything all about us, our beliefs, and our expectations of how things should be” (p. 126). There is a need for connection that can be provided through exploring beyond self to values and meaning. EDA continues to expand on this search as part of understanding step 3, “made a decision to turn our will and our lives over to the care of God as we understood God” (p. 124). God can be replaced with higher power or any other phrase that feels right. EDA goes on to clarify that, “in step 3 our job is resolve – decide – to be open to committing ourselves to serving God, a Higher Power, or the greater good: something that inspires and enables us to transcend our current limitations” (p.130). Recovery opens the door to many more possibilities in life and seeing those opportunities can be a motivator through the struggle of surrendering. It is easier to turn to a higher power and to a treatment team when the belief in a more meaningful life is realized. It’s ok to take time to figure out a higher power and recovery values because EDA (2016) says, “we must find something more durable, more powerful, more permanent and ultimately more important than we are to ourselves to serve as our foundation” (p. 128). 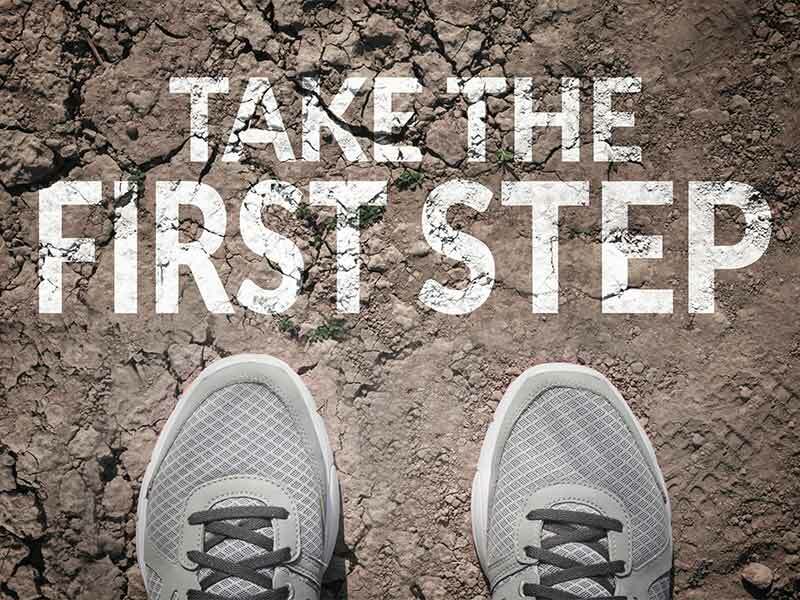 In the 12-step program, the first three steps lay the groundwork for success in recovery. Acknowledging powerlessness, seeking a something greater than self, and putting faith in a higher Power takes a lot of work and are life-changing steps in the road to recovery. (2016). Eating Disorder Anonymous. Carlsbad, CA: Gürze Books.